This historic 45-acre waterfront office campus, retail and residential space is in a prime location just 35 miles south of Boston, 44 miles east of Providence, and just over one mile from downtown Plymouth, Massachusetts. A Commuter Rail Station is located on site. 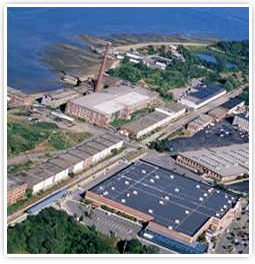 A waterfront office campus featuring unique mill buildings with 18' to 30’ ceilings and large lighted windows offering panoramic views, Cordage Commerce Center is the hottest spot for business in this growth region, offering a reverse commute to Boston. Investment opportunities abound in the Cordage Park Residential Development. Build-to-Suit spaces starting at 1,800 s.f. 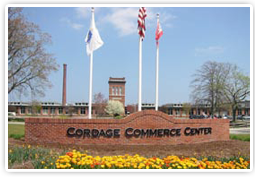 Creative, affordable lease arrangements are available at Cordage Park. Employees and business owners alike value the proximity to numerous major highways (3, 44, 495, 53, 58, and 106) as well as the short walk to the MBTA that links Plymouth conveniently to downtown Boston. The group is in the process of permitting the development of a full lifestyle center encompassing 675 residential units for rental and condominium sales, hotels, and additional retail offerings serving the town of Plymouth and its residents. Expansion to the existing 54-slip marina is also included in this upcoming development.